South Africa is producing less electricity than it did last year, Statistics South Africa said on Thursday. According to a report by Stats SA entitled Electricity generated and available for distribution, which was released on Thursday, electricity generation dropped by 2,1% year on year in February 2015. In October last year, all power producers in South Africa generated 21 404GWh of electricity, compared to 20 391GWh in November, 19 978GWh in December, 20 769GWh in January and 19 068GWh in February. Seen in isolation, Eskom produced 20 354GWh of electricity in October last year, 19 416GWh in November, 18 939GWh in December, 19 755GWh in January, and 18 187GWh in February. Eskom itself produced 2,6% less electricity year on year by the end of February this year. Seasonally adjusted electricity generation fell by 0,8% in February, compared to January this year. This followed month-on-month changes of 0,3% in January and 1,2% in December last year. Seasonally adjusted electricity production dropped by 0,4% in the three months ended February, compared to the previous three-month period. In terms of electricity consumption, Stats SA said this dipped by 0,8% year on year in February, with seasonally adjusted electricity consumption dropping by 0,3% month on month in February. This followed month-on-month changes of 0,2% in January, and 0,4% in December. Seasonally adjusted electricity distribution dropped by 0,5% in the three months to end-February, compared with the previous three months. In 2010, South Africa consumed a total of 238 272GWh of electricity, compared to 240 528GWh in 2011. In 2012, the country consumed 234 174GWh of electricity, with this figure dropping to 233 105GWh in 2013, and again slipping in 2014, with the lowest consumption of electricity over the last five years, at 231 449GWh electricity consumed. 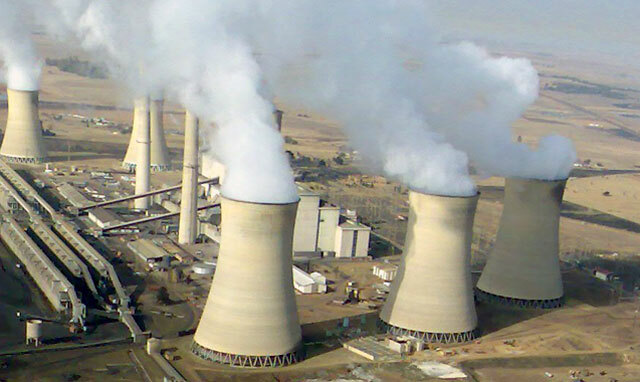 According to Stats SA, the province which consumed the most power in February was Gauteng at 4 301GWh, followed by KwaZulu-Natal at 3 238GWh, Mpumalanga at 2 618GWh, North West at 1 914GWh and then the Western Cape at 1 865GWh. Yep. Eskom is increasingly failing to do their job – produce enough electricity to meet demand. What a surprise! This is bad…I often have nightmares of a national wide blackout ..could we even bounce back from that?